While doing my typical “googling” for new info about the places that my ancestors lived, I stumbled on a blog post about a new documentary that is about New Haven’s “Hill” neighborhood in the modern age. The film was co-produced by Jacob Bricca (the blog author) and his wife, Lisa Molomot. The Hill tells the story of a group of African-American neighbors who fight to save their homes from destruction when the City of New Haven proposes a huge new school complex in their neighborhood. Taking their case all the way to federal court, this unlikely group of crusaders band together with preservationists and civil rights advocates in this story about 21st century racism. 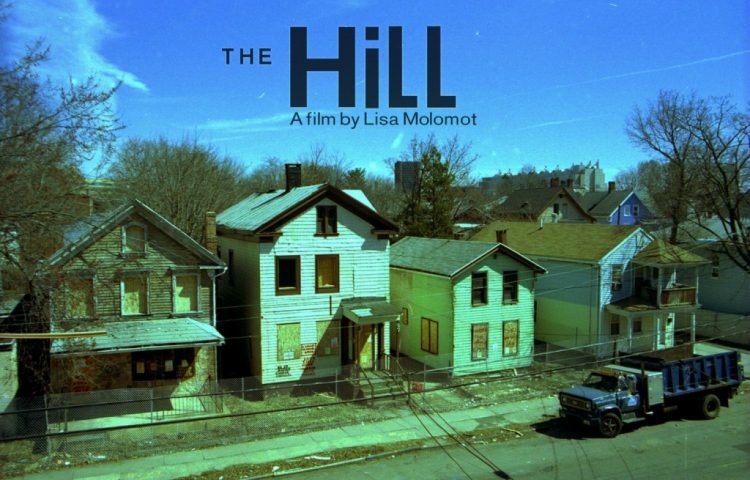 I think what struck me when I saw the image above, was that while this documentary concerns the present day African-American residents of “The Hill”, it also concerns the thousands of Irish, Italian and Jewish immigrants who also lived in those houses that the people in the film are trying to save. There will always be a connection between all of the past residents of “The Hill” and the current ones. That connection makes me want to see this film!